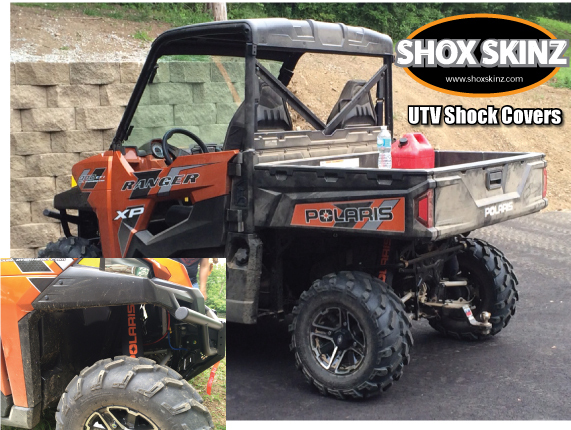 Shox Skinz can build shock covers for any UTV or Side by Side (Side x Side). Follow the directions below for a free quote on your covers. Once you have obtained the measurements for your covers, fill out the form below - including specifics on the color and graphics for your covers. We'll provide a quote to you via e-mail. How to measure your shock covers - One of the first steps in designing your custom shock covers is determining the length and circumference of the cover. Please CLICK HERE for instructions on measuring your shock cover.